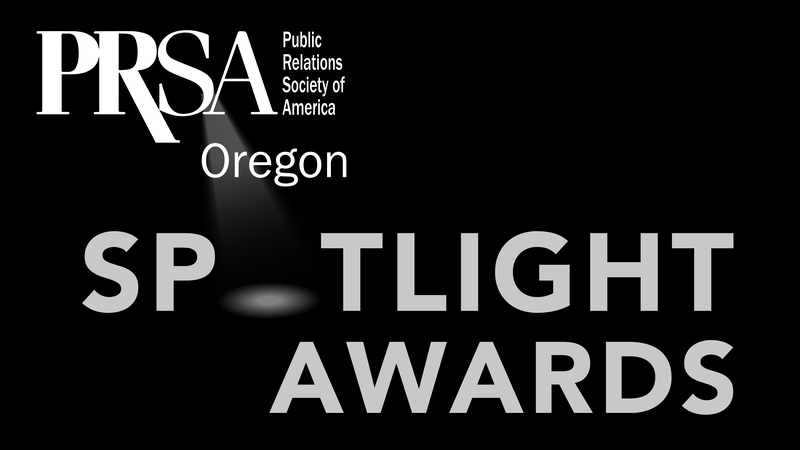 The Nereus team brought home the hardware at the annual PRSA Oregon Spotlight Awards on Nov. 7. The awards recognize the best public relations, marketing and communications campaigns across the state in several categories, including Community Relations, Printed Communications, Events, Integrated Communications, Media Relations, Digital Communication, News Releases, and Social Media. Nereus won a Merit Award – News Release/Social Media for our work with USB Implementers Forum (USB-IF) to develop a press release announcing the publication of a new technology standard. The USB Human Interface Device (HID) Standard for Braille Displays will make it easier for companies to develop braille displays across different operating systems and ultimately improve access to technology for blind and low-vision users. We worked with USB-IF members Apple and Microsoft to highlight the collaboration between technology companies to enhance the lives of visually impaired people. We issued the press release on May 31 – you can view it here. The press release garnered media coverage from major technology publications and conversation on Twitter, including increased awareness of the need for technological accessibility for people with disabilities. The competition is always strong for the PRSA Awards, and this award is a testament to the high quality of work Nereus produces for our clients on a daily basis. This is the 24th PRSA Spotlight or Merit Award that Nereus has won. While a full trophy case is a nice thing to have, awards are the icing on the cake for the opportunity to serve our clients and create amazing results.